NEF stands for Nikon Electronic Format and it's a data flow taken from the photos ensitive matrix of the camera and it's written without any processing. NEF is often called digital negative and it contains more information then JPEG or TIFF formats. NEF Viewer (Free Nikon Digital RAW Image Viewer) is FREE applications that support wide range of NEF sub formats and NEF Viewer can view NEF files, resize or convert NEF files to other image formats. NEF Viewer - view NEF files, resize or convert NEF files to other image formats. NEF files contain data exactly as it was captured by the CCD. Almost every Nikon camera stores their NEF images in different sub formats. Because of that, there can't be found many tools that support NEF file extensions. NEF Viewer (Free Nikon Digital RAW Image Viewer) is a one of not many FREE applications that support wide range of NEF sub formats, NEF Viewer can view NEF files, resize or convert NEF files to other image formats and support wide range of Nikon cameras. NEF Viewer (Free Nikon Digital RAW Image Viewer) is an excellent tool for all that users that store their photos in NEF format and after that want to view them, resize or convert them to other image formats. 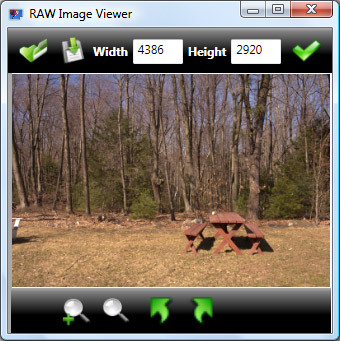 What NEF Viewer (Free Nikon Digital RAW Image Viewer) can do? Qweas is providing links to NEF viewer Free Nikon Digital RAW Image Viewer 3.2 as a courtesy, and makes no representations regarding NEF viewer Free Nikon Digital RAW Image Viewer or any other applications or any information related thereto. Any questions, complaints or claims regarding this application NEF viewer Free Nikon Digital RAW Image Viewer 3.2 must be directed to the appropriate software vendor. You may click the publisher link of NEF viewer Free Nikon Digital RAW Image Viewer on the top of this page to get more details about the vendor.